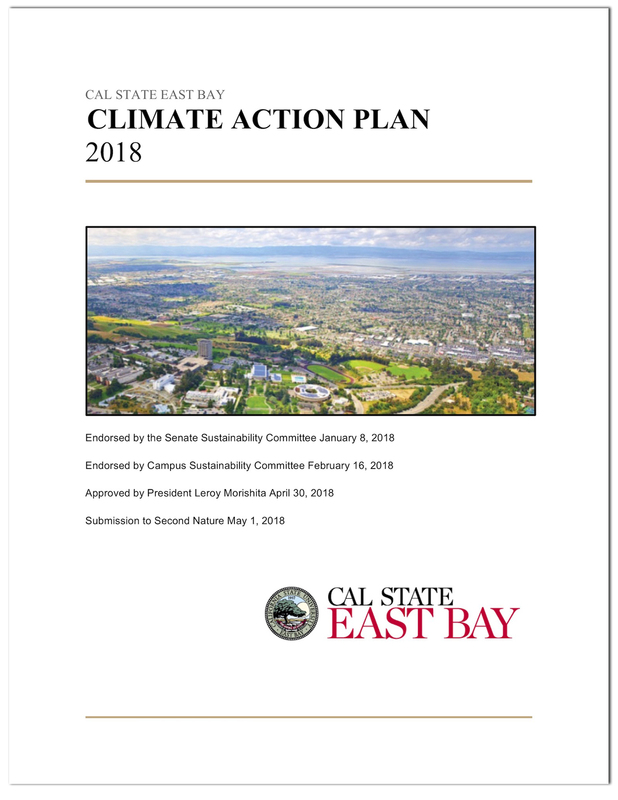 Cal State East Bay made a commitment to climate neutrality when President Morishita signed the Carbon Commitment (formerly the American Colleges and Universities Presidents’ Climate Commitment) in January 2015. Once signed, the Carbon Commitment dedicates Cal State East Bay to fulfill the following steps in pursuit of climate neutrality. View the complete Commitment text. Adopted a campus Climate Action Plan, adopted May 2018. All metrics related to the Carbon Commitment may be found on the Cal State East Bay Reporting Platform via the dashboard hosted by Second Nature.